I haven’t been doing a lot of beer reviews as of late. The craft beer market is saturated. It’s not a bad thing, in fact, it’s a fantastic thing to be a consumer. The choices are ridiculous. There are so many beers now that I enjoy and so many that I dislike, blogging about all of them just gets boring. I’ve decided to save any beer reviews that I do for truly unique experiences. Whether a beer is good or bad, if there is something truly unique about my encounter with it, I will share the experience. This beer was one of them. 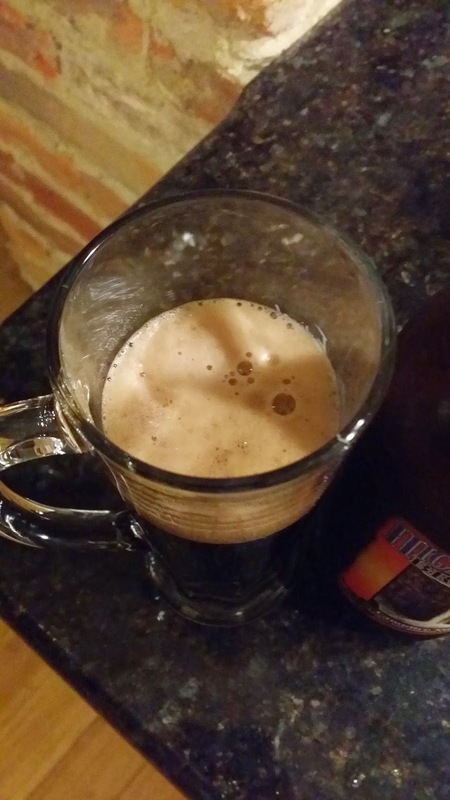 The “Campfire Stout” is not a fantastic beer….but it is good. The reason I wanted to write about it, is because it does something that other gimmicky stouts fail to do: It actually tastes like it’s suppose to. It actually tastes like it smells. It’s one of my biggest pet peeves about stouts. 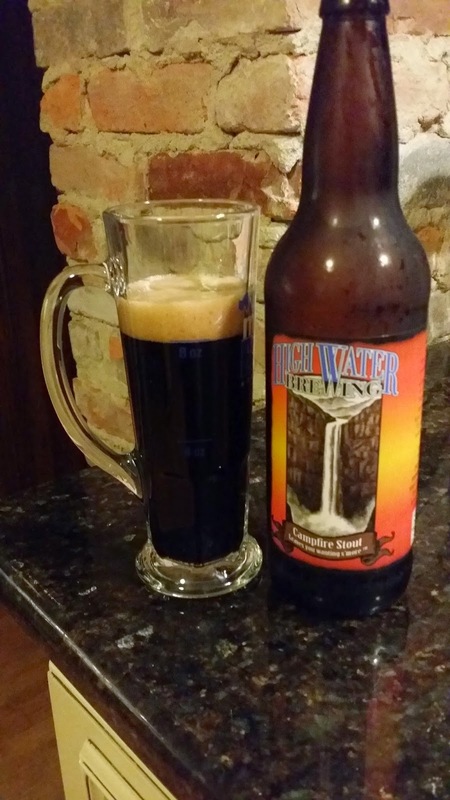 Breweries will create unusual stouts with flavors that spark intrigue. Almost all of these things usually smell terrific, and almost all of them leave a disappointed beer drinker standing there with a glass full of mediocrity. I had almost completely stopped trying them. The Campfire Stout is supposed to taste like S’mores and is actually brewed with Graham Crackers in the mash. I’m not going to sit here and tell you that the beer tastes just like S’mores, but it does have a smokey, sweet flavor to it: worthy of praise. It’s not a surprise to me that this is High Water’s top selling beer. If you are a fan of gimmicky stouts like this, I suggest you give this a try. Finally, a stout that tastes like its meant to taste.